A Cambodian/Vietnamese dinner at Phnom Penh restaurant in Chinatown on May 27, 2014. After a belly full of beer from the R&B Brewing event, Dennis and I walked over to Chinatown for an early dinner snack at everyone's favourite Cambo-Viet eatery. The decades old dining institution was fairly empty (a strange experience without their infamous line ups) as we sat down to settle our appetites. 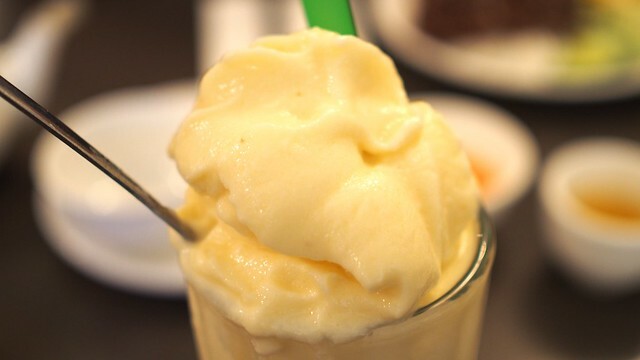 I sipped smoothly on a pungent yet tasty durian moo shake. I enjoyed the combination of fruit, ice, and cream. You could taste it by smelling it. 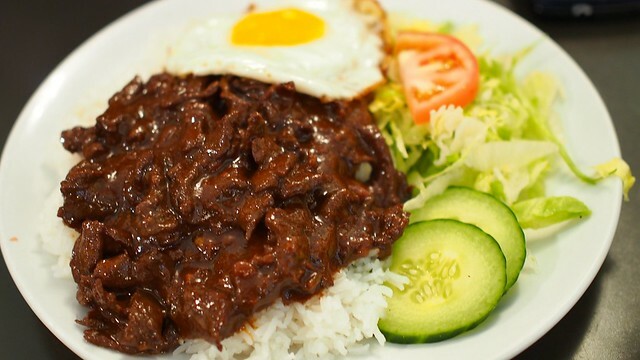 My favourite is always the filet beef luc lac on rice with egg (always make sure to get the egg for an extra 45¢). 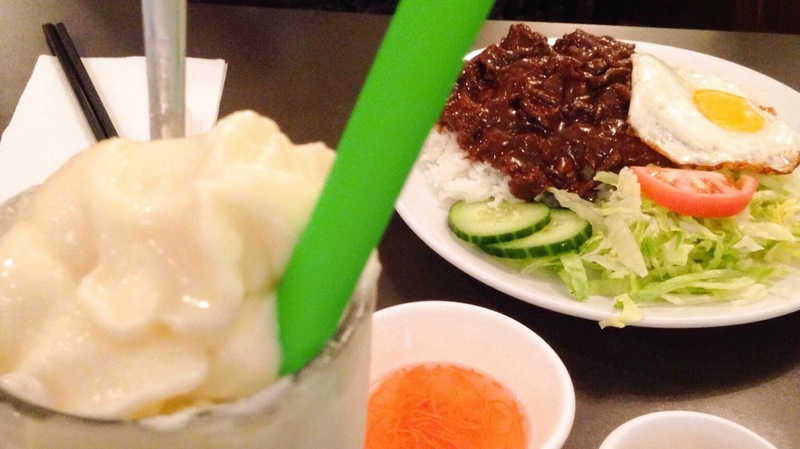 I love the combination of marinated beef and rice with fish sauce. It's standard but always delicious. Pro tip: You can ask for fried rice instead of white if that's your jam. 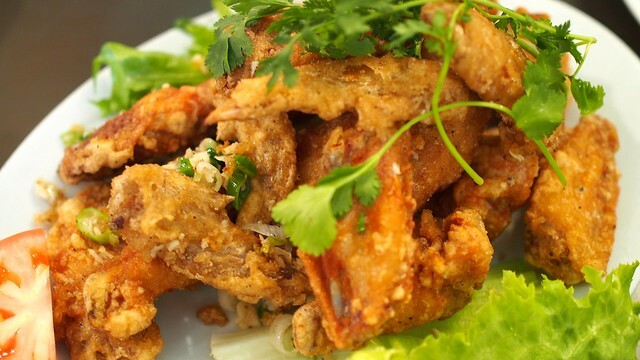 Everyone knows about the famous and award-winning deep fried chicken wings full of MSG and salty goodness. If anything, it's become a little underwhelming in its predictable tastiness yet still satisfying, nonetheless. 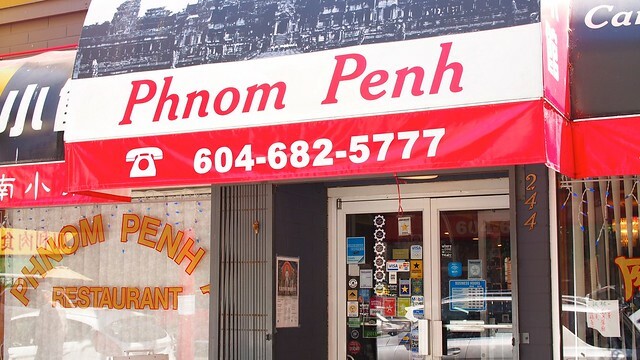 Phnom Penh is a staple and the standard for Cambodian and Vietnamese style food with their line up of authentic dishes. I never veer away from the favourites known to the same level of quality after every visit. More | YVArcade / 2013 / V.I.A.